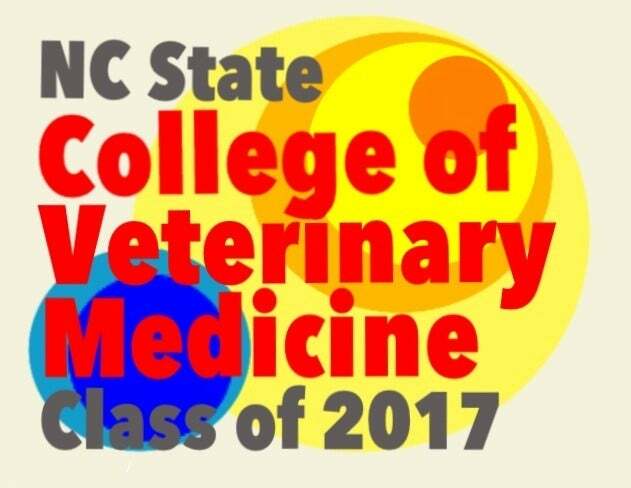 The products you order will be available for pickup at the NC State CVM. Unfortunately, we cannot ship orders directly to you. Even though Paypal has you enter a shipping address when ordering, your product will NOT BE SHIPPED TO YOU, IT WILL BE SHIPPED TO THE COLLEGE OF VETERINARY MEDICINE. Please put your year or vet contact under "shipping street address" (see below for more information). We are extremely sorry for any inconvenience this causes. Please put your year (or "faculty", "PhD/DVM", etc.) under "street address". This will just help us out when delivering your products. Please put their name (and year, if you know it) under "street address". Make sure you contact the vet student and make sure they know to expect your purchases!